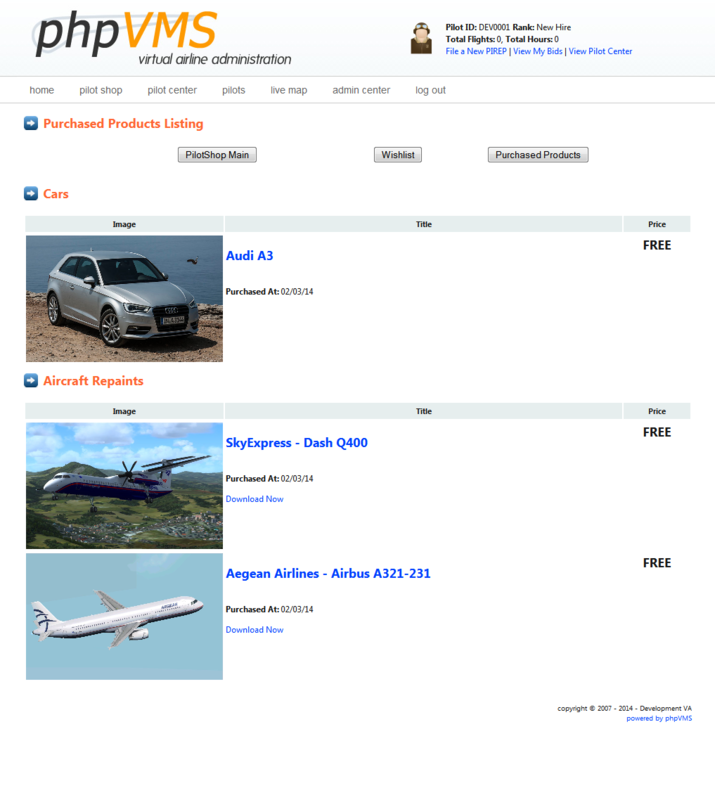 Pilot Shop Module has been developed by PHP-Mods in order to give your pilots the chance to use their earnings from their flights via purchasing items and downloads. 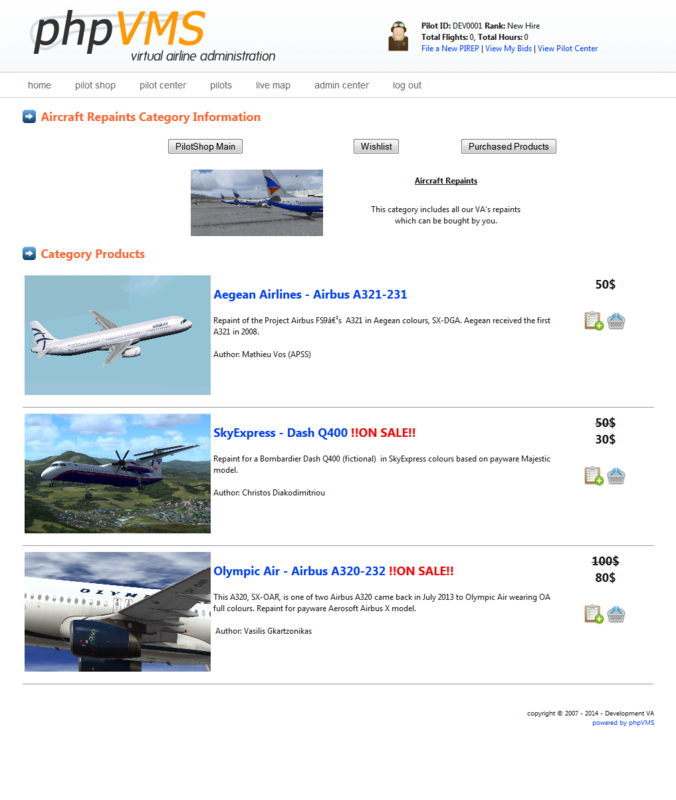 Give your pilot's the chance to spend the money they gain from their flights on your virtual airline via purchasing anything they want. 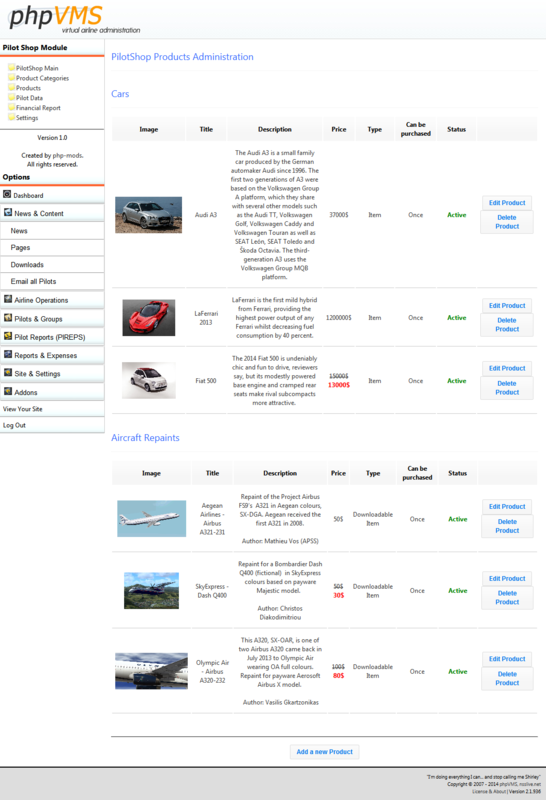 Add as many product categories and as many products as you want on your system. 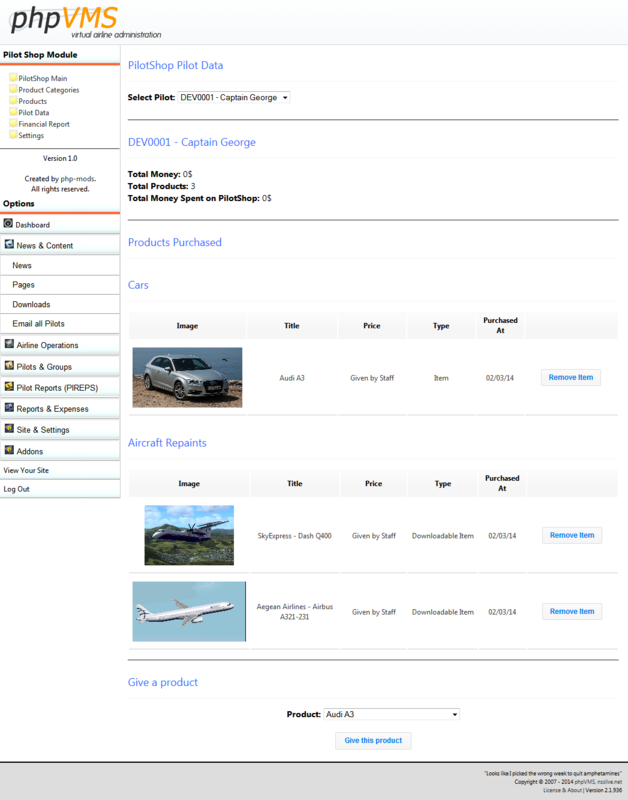 The pilot is able to request a refund which has to be validated by an admin. 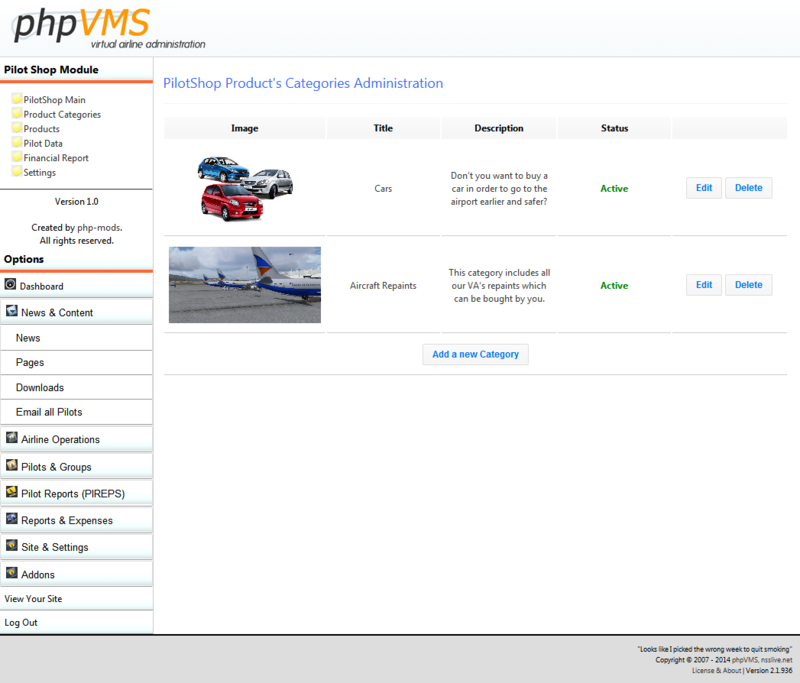 The following installation steps have to be followed by those who have never installed any version of the Pilot Shop Module. 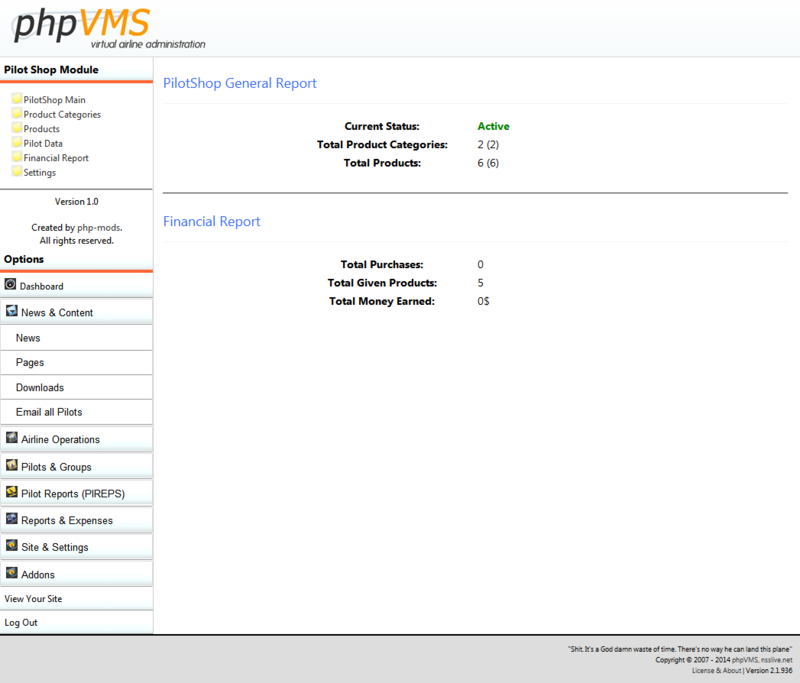 Unzip the Pilot Shop File you downloaded from our system. Before your proceed with the installation, you will have to find and read the readme.txt file which is inside the .rar file you downloaded. 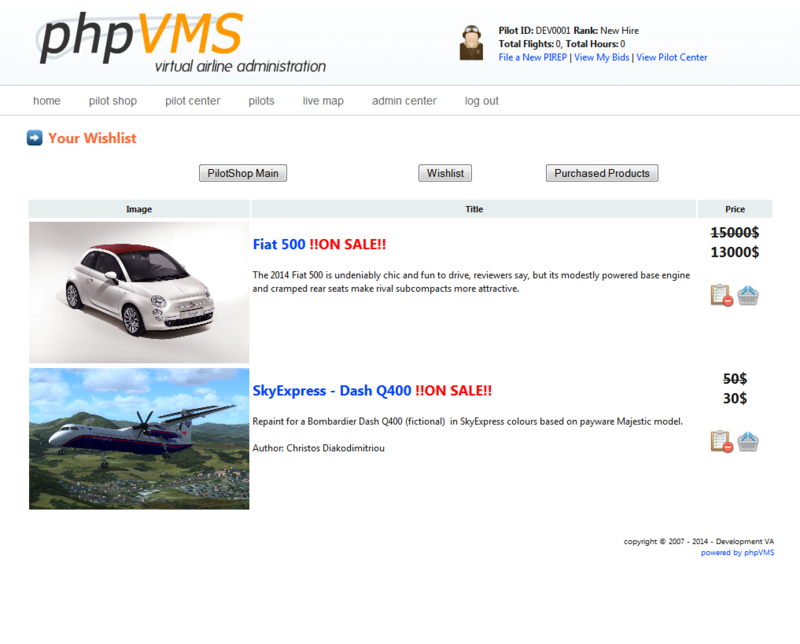 Go to www.youdomain.com/PilotShopInstallSql in order to run the PilotShopInstallSql folder. This will install all the database tables. 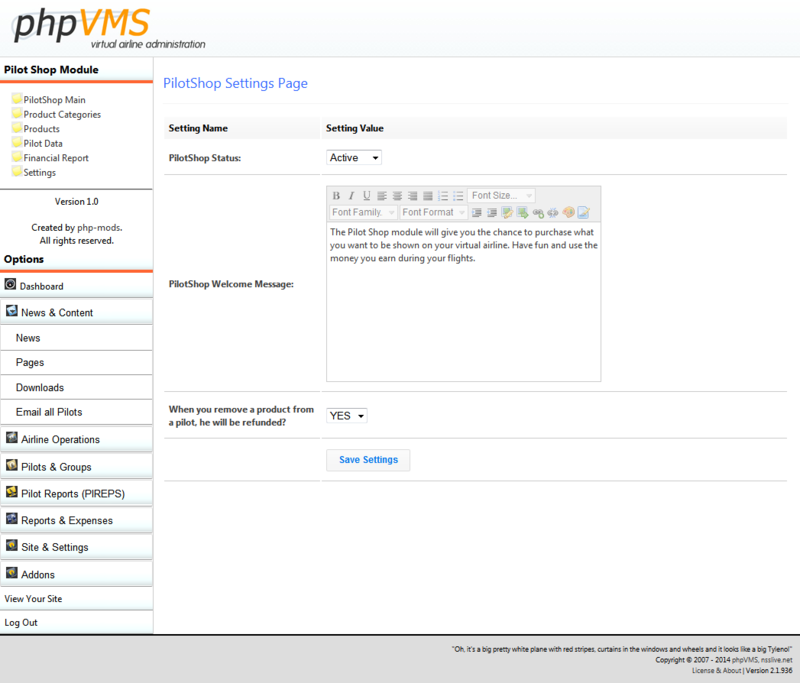 After the installation is completed, do not forget to delete the PilotShopInstallSql folder from your server. Note: Where X please replace with the number of latest purchases you want to display. 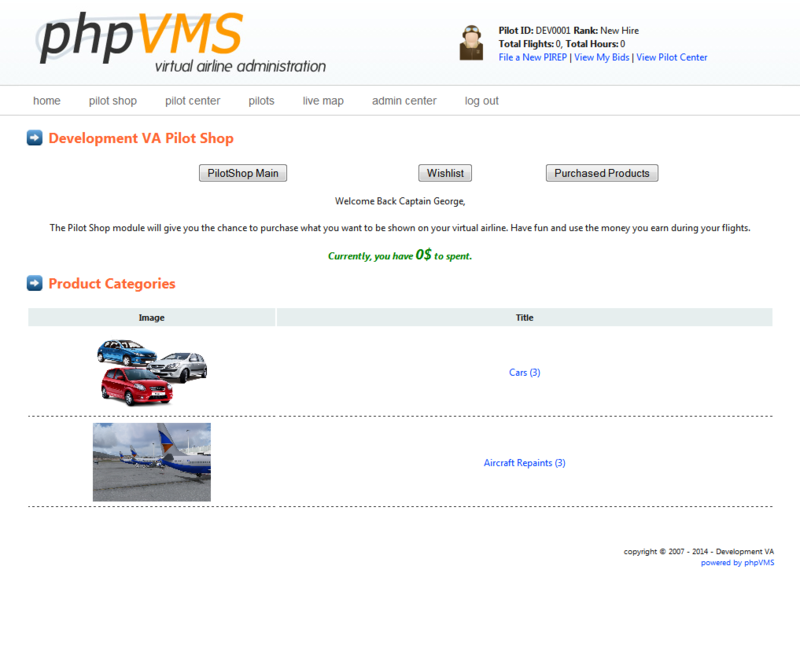 For example use 5 if you want to display the latest five(5) purchases on PilotShop.